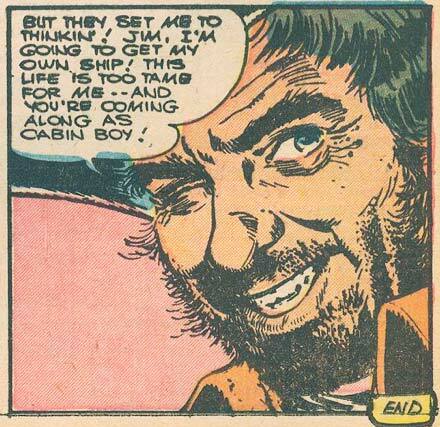 And you don’t want to know why they call him “Long John.” I gather this is from a comic book adaptation of Treasure Island? Appropriate for Talk Like a Pirate Day, yes? You got it, First Mate Niall! Avast! Do you think Samson would be able to defeat pirates by throwing their ship at them? Why would Sampson fight pirates? Their house is already in the river. Yes, but it’s still in one piece, so the job’s not finished yet. Fair point. Not a good idea though. Pirates like sharp objects.